We have captured the market by manufacturing and supplying superior quality Electric Actuators. Our products are specially designed by the team of our professionals with the help of latest technology. Also, our products are known as the most durable of their kind that are basically designed for various industries. Easy operations, rust resistance, consistent performance, low maintenance, leak-proof and excellent finish are the features of our products. We offer these products at industry leading prices to our clients. 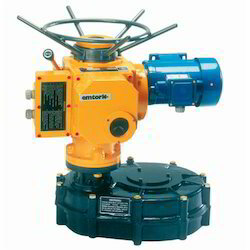 Our company has created niche in field of providing a premium quality range of Electric Actuator. The offered actuator excels in demanding applications, ranging from nuclear power plants to critical service flow control in hydroelectric plants. Our offered actuator is well made by the team of adroit professionals that works with complete devotion to deliver excellent product. The provided actuator is manufactured using best-in-class material as well as sophisticated technology. With the assistance of our professionals, we are engaged in offering our clients a broad range of Rotary (Multi turn ) Actuators that are used for operating the final control elements like valves or dampers to control the flow of fluids flowing through the pipes or ducts. Using the ultra-modern technology as well as top grade material, our offered actuators are manufactured by our deft professionals. These actuators are available in numerous sizes and finishes to cater the particular demands of our patrons. We are a trustworthy provider of a superior quality Electric linear Actuators which converts the rotational motion of a low voltage DC motor into linear motion. 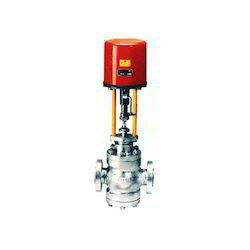 The provided actuators are manufactured using the best quality material and progressive techniques in tune with set industry norms. Furthermore, our quality controllers test these actuators against numerous parameters in order to ensure their optimum quality. 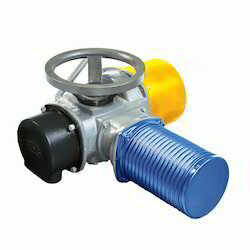 Our clients can avail the offered actuators from us at market leading prices. We are the leading provider of Electrical Actuators. In combination with our selection of AC and DC controls and various motor transmission combinations, our actuators are designed for the best and most reliable quality performance for high and low power, industrial and precision applications.